GRAB ALL THE VIDEOS AND TASKS FROM THE 5 DAY MINI-COURSE FREE HERE until 3pm Sydney on Monday 29th May (Midnight EST Sunday 28th). After that you can purchase the course for $97. In today's video we find out our UNIQUE way our intuition speaks to us. I take you through a practical exercise to meet your intuition that you can use over and over to communicate with it. I answer the most common questions people have about identifying their intuition. Get clear once and for all on the difference between your INTUITION and your EGO. This is the biggest sticking point when it comes to trusting your intuition. A powerful intention-based Mantra will set your intuitive nudges in motion! Craft your Mantra in 3 easy steps and watch as your intuition starts to show up more and more. This is where we pull it all together and uncover potential limiting beliefs that get in our way when we're making decisions and trying to clarify our next steps in our life and business. 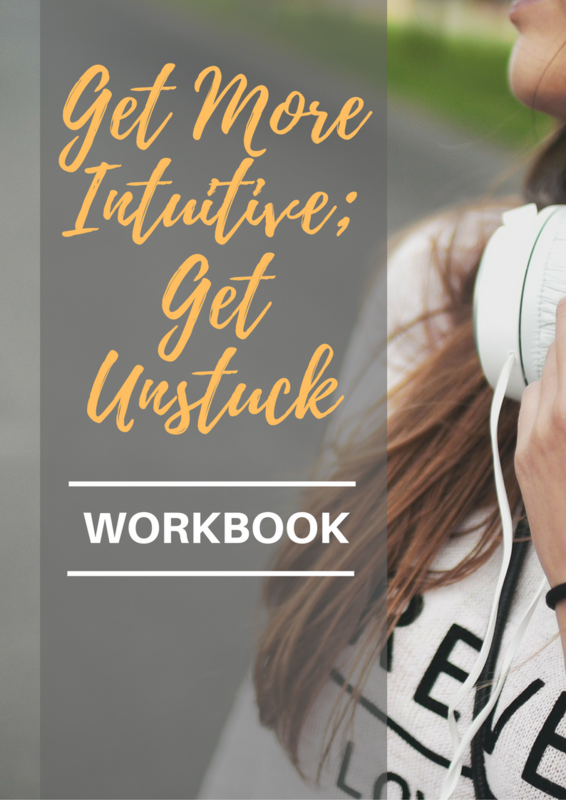 I give you my intel on how your thoughts keep you stuck when your intuition's wanting you to take action in a certain direction. The Work (Energetically) Smarter Mastermind is an intimate group mentoring experience that gives you all the tools you need to get unstuck and free yourself from self-doubt, bad decision-making and lack of clarity where you're going and what you 'should' be doing...freeing you up to put more money in the bank, more time in your days, and more energy and freedom to do what lights you up!